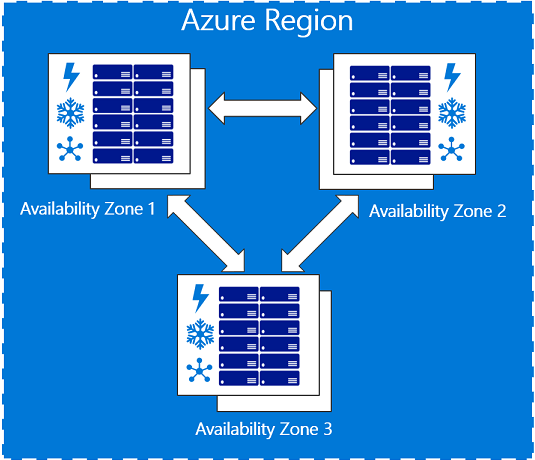 Azure Availability Zone protects your applications and data from Complete Location Breakdown or Datacenter wide outage which affects the entire Azure Data Center. With Azure Availability Zones (AZ), Azure Region will have 3 or more Physically separate Data center’s within Metro distance connected by High speed Fibre Optic cables. This distance can be 500M, 1 KM, 5 KM or 10 KM etc. The important point here is that Availability Zones (AZ) will not be sharing any infrastructure like Networking, Grid Power Supply and Cooling etc. The figure below shows three Availability Zones in a Region connected by High speed Fibre Optic Cables. These AZs are separate Azure Data Centers. Azure Availability Zone will provide Virtual Server High Availability not only from underlying Hardware failure (Host, TOR Switch, PS to Rack) but also from Complete Location Breakdown or Datacenter wide outage which effects the entire Azure Data Center. running a console .net core app as a windows service. easiest approach?